Learn the art of fingerstyle jazz guitar with these 12 insightful lessons. 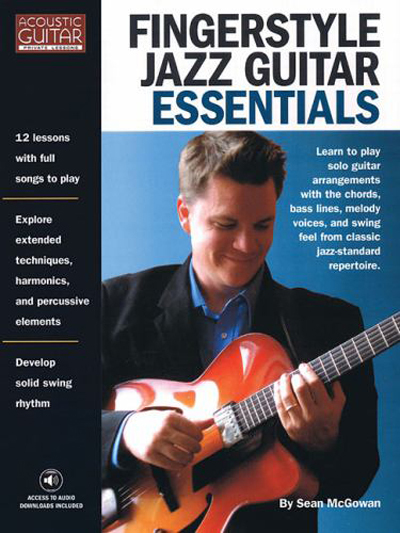 With chapters aimed at building chord vocabulary, separating bass and melody voices, and improvisation in the style of jazz guitar greats like Wes Montgomery and Joe Pass, this book is your guide to building and playing great solo guitar arrangements of songs from the classic jazz-standard repertoire. Complete with jazz interpretations of traditional songs. Lessons include audio downloads, standard notation and tablature for all examples and songs, and much more.